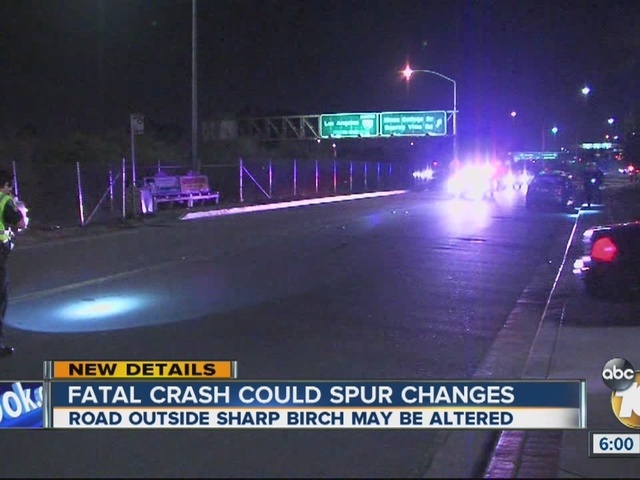 A deadly crash outside Sharp Mary Birch Hospital in Serra Mesa could possibly lead to safety changes. Donna Murillo placed a candle among the many flowers and a message board honoring 29-year-old Jaime Leonen. 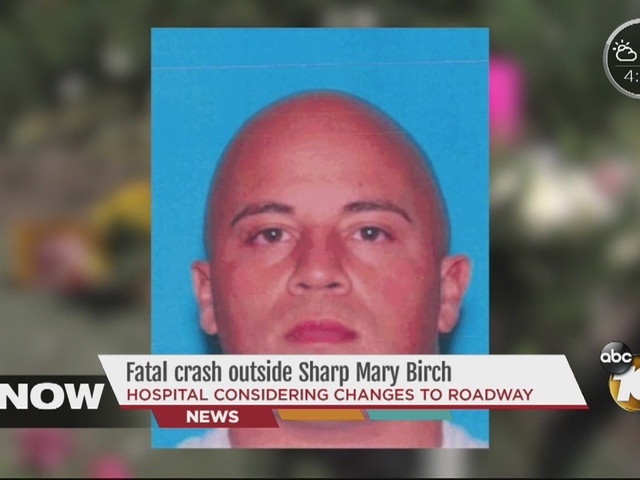 Leonen and his girlfriend's father were crossing Health Center Drive Friday night when a driver hit them. Leonen did not survive. "Jamie was upbeat, outgoing, he was a light; once he walked into the door, all eyes on him. Everyone loved him," Murillo said. Leonen was headed to see a friend's new baby but never made it across the busy street. A 10News camera was rolling as several pedestrians darted across Heath Center Drive, but not in a crosswalk. "It's very, very dangerous," said Kathy Decorsey, who has worked at the hospital for the last five years. She said cars often speed down the street, and every time she crosses, she gets nervous. "Normally I step out and put my hand out and kind of signal for them to stop, but it's a very busy street," Decorsey said. Sharp officials announced Monday that they plan to meet with city officials and community members to figure out how to make the street safe. One possibility is to make the west side of the street a no-parking zone. Murillo said safety measures need to go up immediately so another family doesn't experience her pain. "They need to put lights around here or maybe a crosswalk around here, something where everyone can feel more safe around here," Murillo said. The driver has not been charged in the crash. Police say drugs and alcohol were not factors in the incident.